Best Automatic Doors Installation For Businesses. Do you know that Automatic doors enable easy access to buildings in commercial and industrial environments? With high-quality automatic doors installation service, Roseville that Great Lakes Security Hardware offers, you stand to benefit a lot from your automatic doors. Also, Installing an automatic door comes with great convenience, and that is one of the main benefits to you. People can pass through an automatic door with ease without the hassle of opening a heavy door manually. Therefore, it is a good way of welcoming your customers from the moment they arrive at your premise. This can effectively solve accessibility issues since people with disabilities will be able to access the premise with ease and without any complication. Furthermore, Automatic Door Installation can save space, making it an ideal choice for businesses operating in limited spaces. This is another great benefit to businesses. 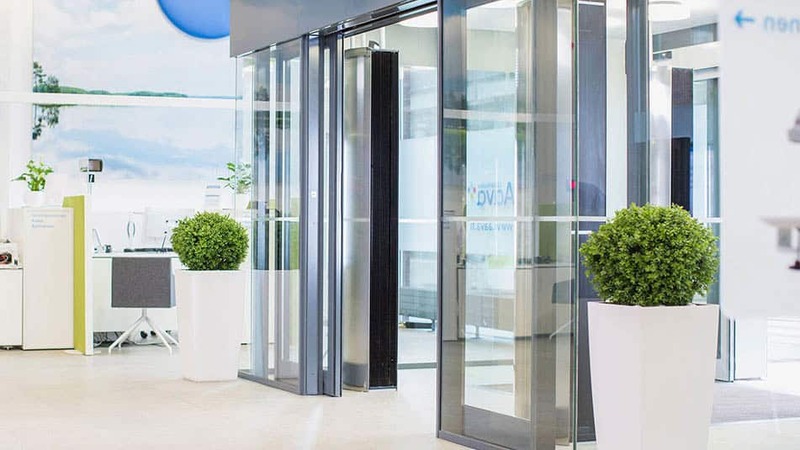 The choice of telescopic sliding and single sliding doors presents several options of automatic doors that can ensure you utilize the available space well. Automatic doors can also enhance the management of security. The door can be controlled remotely, meaning that your security personnel can deactivate the door completely if necessary or grant access to selective traffic. Automatic doors increase security, leaving you feeling much safer, as most of them come with a locking system that gives the user more control. Once the technicians from Great Lakes Security Hardware finish installing Roseville automatic doors in your premise, it is easy to own and maintain automatic doors since they’re manufactured to the highest standards for safety and quality. From sliding doors to swing doors, you can choose from a wide range of designs and systems. Therefore, you will find a solution that suits your business needs. From replacement sensors to full operators, we use high-quality products from the world’s leading manufacturers to provide tailored solutions for you. How Do Automatic Doors Work? Automatic doors bring great convenience to everyday life. They guarantee ease of passing through many doors in medical centers, train stations and shopping centers (to name just a few). All you need to do is walk up to the doors, and it opens automatically for you. But, how does an automatic door work? A range of sensors controls the operation of automatic doors. These sensors can detect various things such as motion, sound, light, and weight. There are many types of these sensors, and each one is ideal for a specific environment. For instance, some doors have weight sensors that detect when a person stands on something disguised as a mat in front of the door. Motion sensors can detect movement around the door in predefined areas and send a signal to the door telling it to open when something triggers this sensor. Once something triggers the sensor, a signal is passed on to the electronic drive train connected to the sensor, which controls the opening and closing mechanism. This mechanism is attached to an automatic door and controls the motion of the door using a cogwheel connected by rubber belts. These mechanisms working together with the sensors ensure the door open whenever a person wants to pass through it. For over 20 years, we’ve been providing top-notch Roseville automatic doors installation solutions to our clients. We’re committed to providing our customers with quality and innovative solutions through planning, design, service, and repair. We’ve built an excellent reputation throughout the Michigan area. If you need high-quality and affordable automatic doors installation, Roseville, call us today at (888) 855-6257 or fill out our contact form to make an inquiry.